The article, ‘Active Holiday Ideas for an Energetic Trip to Australia’, showcased a series of adventurous holidays available for those visitors who want to keep fit on their holiday. 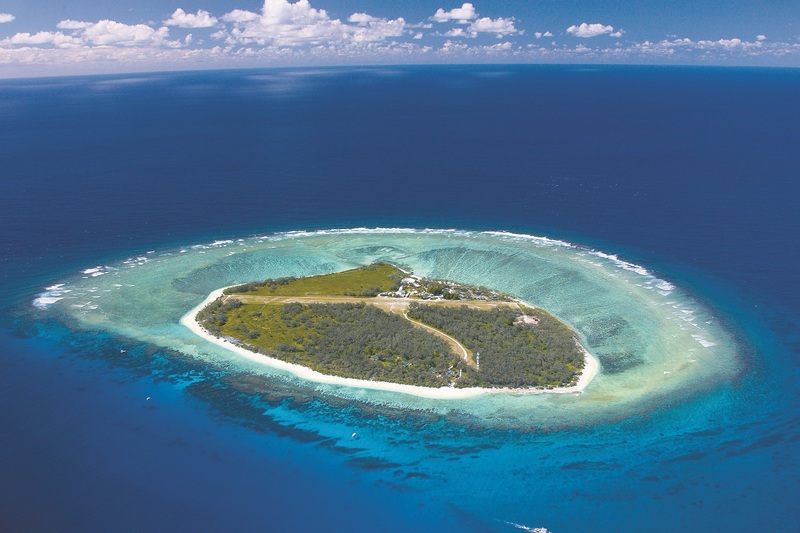 Staying active is easy on Lady Elliot Island! With the abundance of marine life on offer, it’s hard to stay out of the water. You can spend your days snorkelling the reef, strolling the beaches or exploring the island on our many guided walking tours. In fact, we don’t think there’s a better way to experience Australia’s Great Barrier Reef and see its incredible beauty than from the air on our glorious scenic flight, aboard our glass bottom boat tour or beneath the water with over 1,200 different species of marine life to explore! We organise regular trips on a guided glass bottom boat tour from our protected island, as well as offering guided reef walks with chances to see humpback whales breaching, turtles nesting and manta rays floating through the water, depending on the season. With so much to see you’ll barely realise how much you’re moving – until you lie down for a good night’s sleep in our comfortable beds that is! If you’re after a more relaxing holiday, we cater for that too. Gaze upon the gorgeous crystal clear water and tropical island paradise from our scenic flight or take a walk around the island for dry land days soaking up the sun. It’s the perfect break for resting up and getting you raring to go back in the water underworld on your holiday of a lifetime. For a holiday spent swimming among unspoilt coral reefs, the marine ecosystem surrounding our island and our eco-friendly resort is tantamount to bliss. It is also, in keeping with the natural environment, completely unpretentious. You can feel relaxed here among like-minded people who are here for the diving and the authentic experiences after flexing your muscles floating amongst the coral in the deep.